Sleep...What is it and why is it so important? In New Zealand, it is estimated that one third of our population does not get enough sleep. Our modern lifestyle seems to be a major factor in our sleep deprivation – increased stress levels, anxiety, juggling work and family commitments, our obsession with screens, caffeine, alcohol and late bed times all influence the quality and quantity of sleep. There is a myriad of research on sleep and how much we need but the general consensus is that we require at least 6-7 hours of unbroken sleep per night. One night of poor sleep can negatively impact our memory, judgement, eating patterns and mood. Too little has even been linked with the inability to lose weight. Chronic, long term sleep deprivation has been linked to mental illness, cardiovascular disease, diabetes, obesity, Alzheimer’s disease and even cancer. Research has shown that after one night of only having 4-5 hours of sleep, our body’s natural killer cells (the ones that attack cancer cells present in our body) drops by 70%! In search of a quick fix for sleep deprivation, people often seek medical sleep aids or even so-called “natural” alternatives like melatonin supplements. These bypass our body’s natural sleep mechanism and actually lead to even worse sleep overall as well as other side effects like bowel complaints and confusion. Before we look at what we can do to support and enhance our body’s natural sleep rhythms, let’s go over what role sleep actually plays in our life. If you are a parent of young children, chances are you’ve heard of sleep cycles! There are 4 stages to our sleep cycle. Light Sleep: The transition between wake and sleep. This should make up 5% of total sleep time. Stable Sleep: A light stage of sleep that should make up roughly 50% of our sleep time. This is non-REM (Rapid Eye Movement), deeper sleep and this is when heart rate slows down. Deep Sleep: This stage usually starts 35-45 minutes after falling asleep and totals about 20% of our total sleep time. This is also non-REM sleep. This is a key step to sleep where growth takes place, tissue healing and repair occurs, muscle and bone building happens and the immune system strengthens. REM sleep (rapid eye movement): This is the closest state to waking and is where dreaming occurs. This stage of sleep revitalises cognitive function and memory as well as integrating and repairing our psychological processes. If you are struggling to fall asleep or to stay asleep, chances are you have an imbalance between your sympathetic “fight or flight” and parasympathetic “rest and digest” nervous systems. If you are waking up tired after a good night’s sleep, you’re most likely unable to cycle through your sleep cycles efficiently due to over-stimulation and a poor functioning nervous system. Read through our Tips for a Good Night’s Sleep handout to get some pointers on how you can achieve a more restful and healing night’s sleep. What about those of us who have young children? There is a reason why people talk about “Baby-Brain”! If you are blessed with a good sleeper – celebrate! If you’re not, like the vast majority, try not to stress about how little sleep you are getting. Nap as often as your schedule allows and try some guided meditation. Research has shown that 30 minutes of meditation rests our brain like a 4 hour nap! Remember this period is short-term, so adapt your routine to create space for meditation, book your child in for a nervous system assessment and remember: this too shall pass. 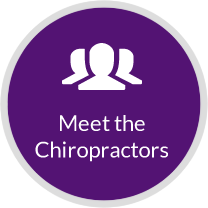 If you are struggling to get a decent night’s sleep, talk with one of our chiropractors about the trouble you may be having. They will be able to advise you on tips to help, or shed some light on what may be an underlying cause.